2017 definitely didn't start off with a "bang". I was on pass from a treatment centre in Montreal on New Year's Eve last year, and I didn't even make it to midnight because I was sick with the flu. In early January, I discharged myself from treatment (early) because I was in the grasp of my eating disorder and didn't want to continue gaining weight. I spent the rest of the month attending a Day Program where I was eventually "kicked out" after failing to gain the required amount of weight three weeks in a row. My life at this point was entirely consumed by the illness, and I had trouble envisioning getting out of it at all. I gave myself an ultimatum in February: either I head full force into anorexia, and commit to starving myself, or I pull myself up off the ground, get a job, and start making money so I could keep my apartment. I chose the latter. I applied to several jobs and quickly received a request for an interview at Oxford Learning Centre. By the end of February, I was hired as the new Education Coordinator. I knew, moving forward, that I had to get my "sh*t" together and feed myself well in order to handle working full-time. March was a month of settling into my new job and really working on myself. I gained some weight and although I still wasn't in the "healthy" zone, I was starting to feel better and better every day. 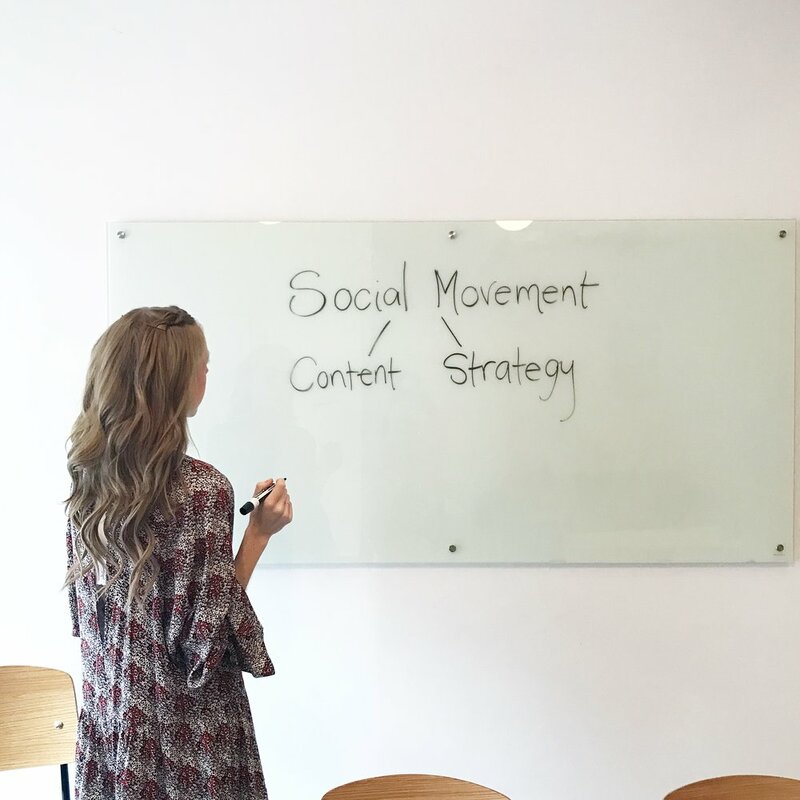 I also began working again for amazing sisters and business partners at a social media agency, where I was able to get my feet wet once more in social media marketing. I celebrated my 29th birthday in April with some of my closest family and friends at an afternoon tea party I held at my apartment. The occasion was made extra special because my best friend and treatment partner in crime flew in from Wisconsin just for the party. 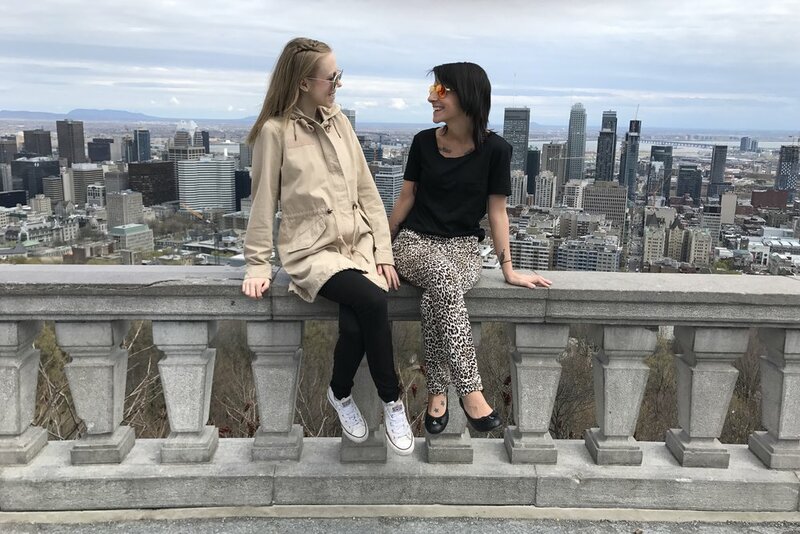 We were able to explore Montreal and really break down the walls of our eating disorders together, as we had done in 2015 in treatment in New York. I had no worries about turning another year older; I felt settled (enough) in my life and overall, I was happy and satisfied. 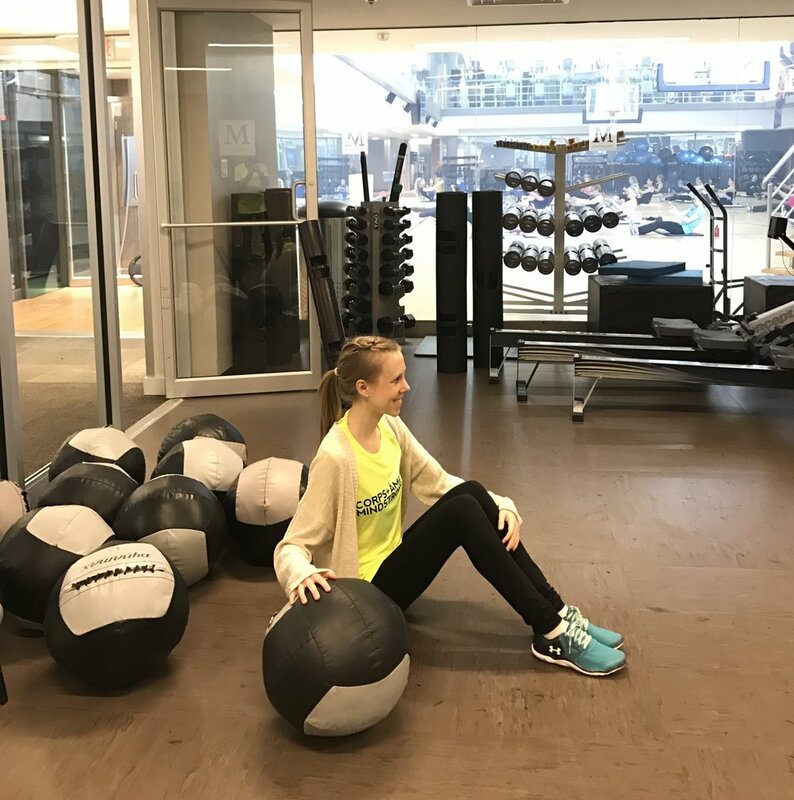 I participated in an event for Mindstrong in early May, where the initiative was to raise money and awareness for mental health through physical activity, in association with the Jewish General Hospital. Soon after the event, though, my eating disorder began to creep back into my daily thoughts. Old habits were resurfacing and my weight began to drop, albeit gradually. I was able to attend a wedding at the end of May and celebrate a close friend/former co-worker on her special day, though. All eating disorder rules were thrown out the window as I ate multiple courses and drank several glasses of wine. June was the month where I had to come to terms with the fact that things were not going so well. 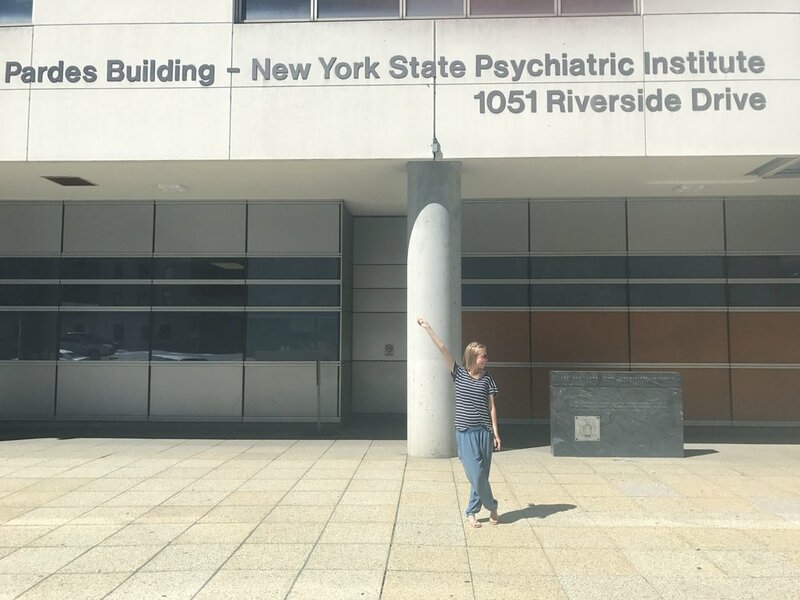 I made a scary phone call to the treatment centre in New York that I had been to in the past, and began the admission process. Having to prove that I was motivated to recover and willing to accept treatment was more taxing than I thought. I began to think that maybe the treatment centre would not accept me at all, and I would be left with almost no other option. However, I was admitted mid-June, where I returned to New York and embarked on what would be the hardest treatment to date. I left my job and I left my apartment all in the hopes that things would get better. Although I officially started my blog in June, I began to take it more seriously come July. I received many messages of love and encouragement from people in my life, but treatment really interfered with my ability to accept those kind words. My anxiety was through the roof and I was acting in line with my eating disorder left, right, and centre. After being dishonest about my actions, I was almost asked to leave treatment. It was truthfully one of the most terrifying moments of my life. I felt my doctor's disappointment in me and I felt ashamed. How could the eating disorder be so powerful that it could negatively affect the relationships I have with the most important people in my life? August was when I attempted to get back on track with my recovery and really bonded with a couple of girls in New York. We attended the U.S. Open Tennis Championships in Queens and I began to feel more and more like myself. My laugh was back and I was able to have fun again. However, I went through extreme withdrawal from my medication and dealt with insomnia for over a week. Once the insomnia subsided, the crying spells started. And at the end of August, something happened to one of the mental health therapy aids that I was extremely close to. He left one night after not feeling well, and never returned. I was very, very uneasy about the whole situation. The staff couldn't tell me much, but they let me know he was getting the care he needed. I never saw him again. September was the hardest month of the year. 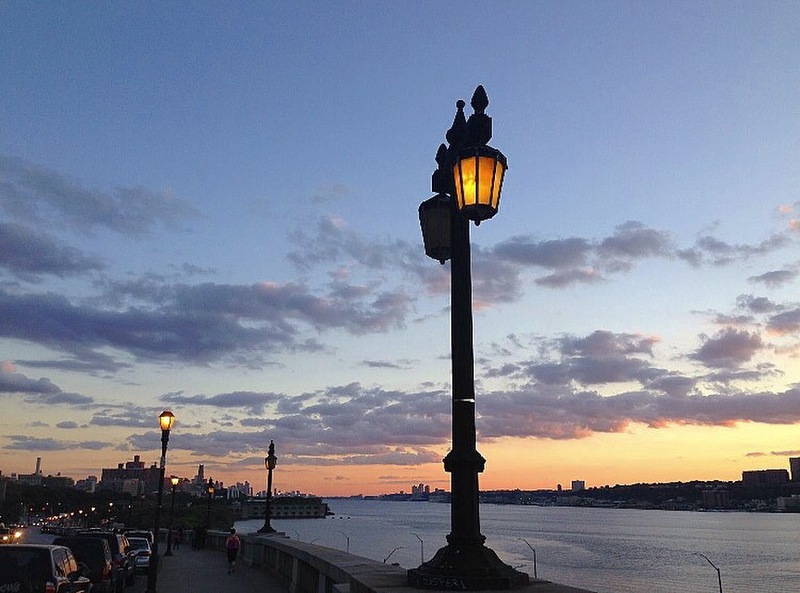 I was discharged from the treatment centre in New York and had to deal with the transition back home. I started work again at Oxford and really appreciated having a purpose every single day, but within the same week of my homecoming, my dad was hospitalized due to health concerns about his heart. Furthermore, we found out that he would need invasive surgery in a couple of weeks. A few days later, I found out that the mental health therapy aid in New York had passed away. I was devastated. I never got the chance to say thank you, or goodbye... and that ruined me. October was spent enjoying the Fall weather in Montreal, and pushing myself out of my comfort zone by saying "yes" to events and social situations. I really strengthened the relationships I had built with my co-workers and despite all the hardships, I was feeling happy. Whole-heartedly happy. November was my chance to see New York City once again. My mom and I booked a mother-daughter trip and spent four days in the city together. I was so lucky to be able to visit the treatment centre and see some of the staff that changed my life. And, I was finally able to get closure and say an official "goodbye" to my doctor, who had been on vacation at the time of my discharge. I saw some treatment friends and some childhood friends, and once again, had the time of my life in my favourite city in the world. My dad's surgery was at the end of November, and the stress of it really took it's toll on me. I lost sleep and had anxiety-ridden dreams, but I am so blessed to say that he is now doing well in his recovery. December was a month of preparing for the holidays. It was incredibly busy and stressful at work, because my supervisor was away on a volunteer mission and I took over for her while she was gone. However, things went well. I managed well-enough. I was able to learn a lot and become even more comfortable in my position. The holidays were emotional, though, more so than I expected them to be. I spent Christmas Eve with family but had a mini-breakdown over the loss of one of my biggest supporters from New York. I don't think I had properly mourned his death so after a few too many glasses of wine, my emotions were brought to the surface. I couldn't have asked for a better Christmas morning, though. Spending time with my family in our pyjamas, opening gifts and drinking large amounts of coffee is what Christmas is all about, to me. How would I characterize 2017, as a whole? Well, it was full of ups but also full of downs. I told this to my therapist a couple weeks ago and she said, "Meghan, that's life!". There are always highs and lows, no matter who you are, and no matter what year it is. I spent a large amount of 2017 in treatment for anorexia, but I also found the perfect job. I lost someone close to me, but I am also learning how to grieve. I strengthened many friendships and developed new friendships as well, and continue to be inspired by the people I have in my life. And, 2017 gave me the chance to start this blog and share my story with all of you. Writing is so much more than a hobby for me; it is incredibly therapeutic as well. I write because it helps me, and it also gives me the opportunity to connect with so many of you out there. It has never been about the numbers, but as of January 1st 2017, my blog has been read in 25 countries and in over 200 cities across the world and to me, that makes everything even more worth it. Here's to 2018. I have no idea what's in store for me, but that's part of the fun, isn't it?